From the funky rap free-for-all that is “Cold Chillin’ Christmas” to the snow-free Miami booty bass of “What You Want For Christmas” by the 69 Boyz & Quad City DJs, Wolf has got your vintage hip-hop bases covered. Combining obscure vinyl archaeology – the weird, the strange, the funky. From there, the comp ranges stylistically from reggae to avant-garde robot singing. 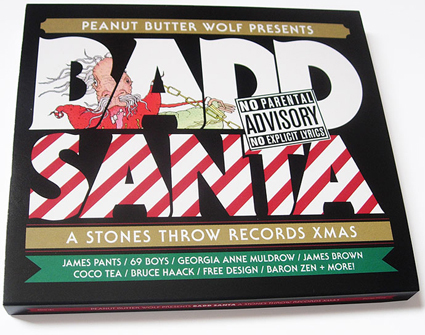 And if that’s not hot enough to roast your chestnuts, then check out the exclusive contributions by Stones Throw artists James Pants, Georgia Anne Muldrow and Baron Zen. Across europe, this CD is exclusively available at Carhartt Stores.